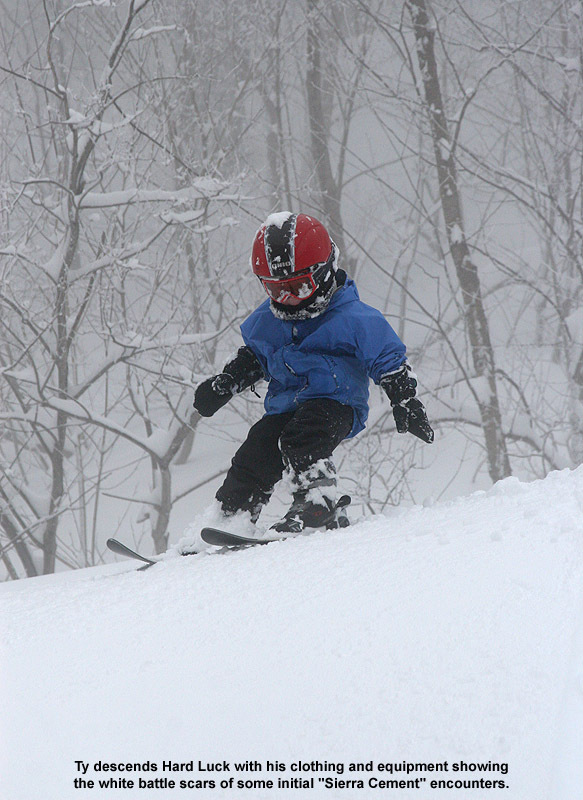 A succession of storms led to fantastic ski conditions during the holidays for 2012-2013. 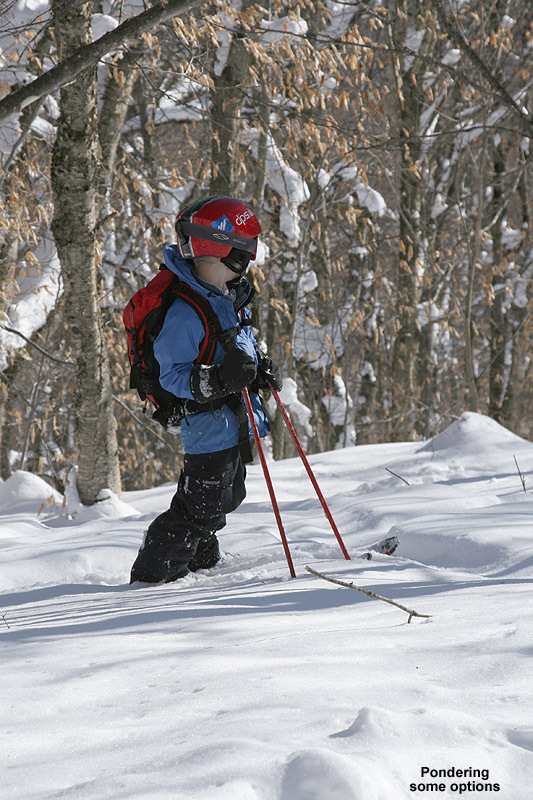 Our recently completed 2012-2013 Waterbury Winter Weather Summary, focused on how the snowfall and other aspects of winter transpired down at our house in the Winooski Valley, and now this report will focus on the skiing and snow in the higher elevations. 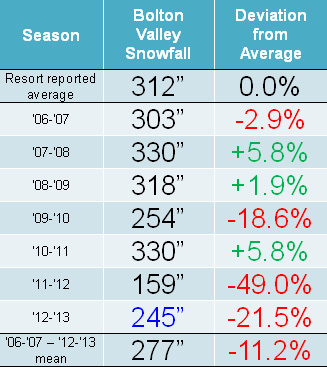 Low snowfall last winter meant back to back seasons with below average snowfall at Bolton Valley. One item of note this season was the lack of big storms targeting Northern New England – two of the largest storms to hit the Northeast dropped the bulk of their payloads south of Vermont while exiting stage right toward the Atlantic. The first of those, nicknamed “Nemo”, hit in the second week of February, and pounded Southern New England with up to 40 inches of snow. The Green Mountains were on the northern fringe of that storm, but still wound up with 1 to 1.5 feet of snow up and down the spine. 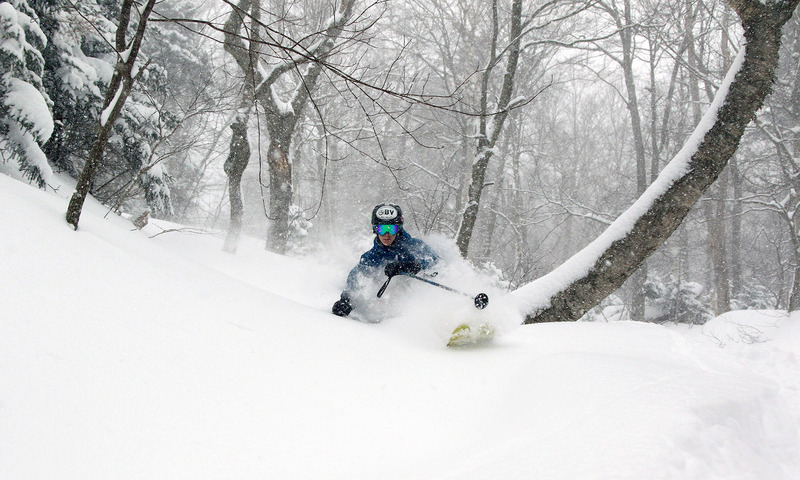 The other storm of note was during the March 5th – 8th period, and it dropped another 30 inches on some Southern New England locations, but nothing way up north. 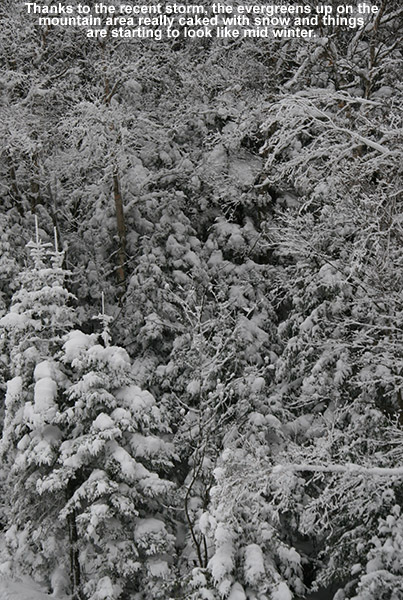 There were some periods of snowfall to highlight up in Northern Vermont however. The second half of December alone dropped almost 50” of snow down at our house, significantly more in the mountains, and produced some fantastic skiing for the holidays and into early January. Another period of note was the second half of March into April. Cold temperatures in the latter part of the season helped preserve wintry conditions on the slopes, and we received some decent snowfall as well – the largest storm for the season in my valley records hit the area near the end of March, with 21.3” of snow down at the house, and multiple feet for the mountains. The mountain snowpack finally responded during that late season stretch as well, and that’s detailed a bit more in the snowpack section below. 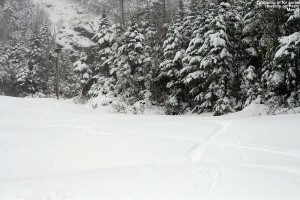 Snowfall continued right into mid April, and the season was capped off with almost two feet of fresh snow on Mt. Mansfield for Memorial Day weekend. That was a sweet way to end the powder skiing for the season. Snowpack: Aside from the spikes associated with a couple of early season storms, the mountain snowpack was below average going into mid December. That changed quickly though, with the onset of all that new snow during the second half of the month. The above average snowpack achieved during the holidays didn’t actually stay that way during January’s warmth and lack of storms. After consolidation, the snowpack generally trundled along at or below average through February’s continuation of relatively low snowfall. From mid February to mid March, the snowpack sat there essentially stagnant for an entire month; to wit, on February 21st, the snowpack was at 65”, and roughly a month later on March 18th, it was still at 65”, without any notable consolidation of more than a few inches. The late season stretch from mid March to mid April represented a nice rebound for the mountains however, with some quick gains from the big Northern New England March storm getting it above average, and the snow depth staying at least modestly above during the period. Two periods stood out this past season for above average snowfall: The holiday period and mid-March through the end of April. 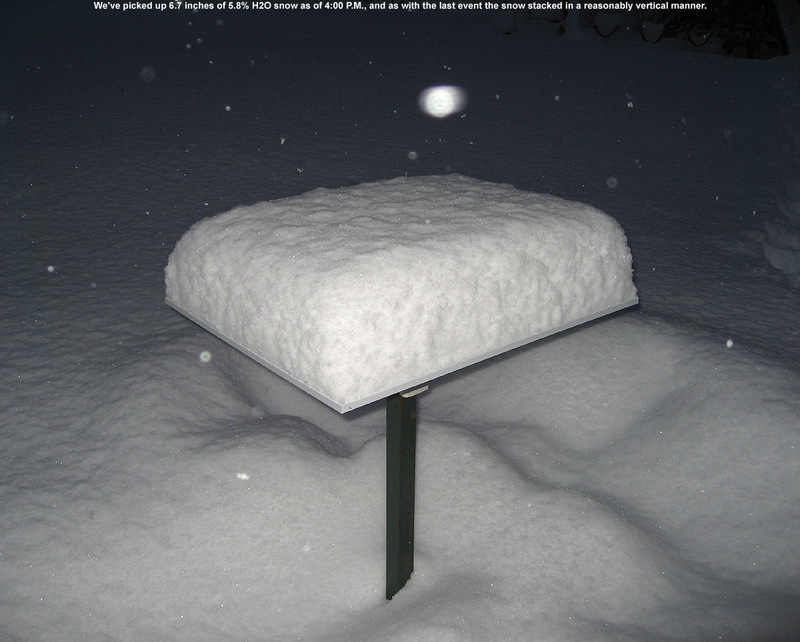 Each star marks the date of attaining a snow depth of 24 inches at the Mt. Mansfield stake, covering all years since 1954. Although still a bit later than average, reaching a depth of 24 inches at the stake this past season (green star – Dec 22) occurred much earlier than the previous season (red star – Jan 3). The mean date for attaining a depth of 24″ is marked by the large vertical bar in the center of the plot, and the smaller bars indicate the range of one standard deviation above and below that mean. This past season, the date (December 22nd, Depth=28”, Green Star) was still later than average due in part to the slow first half of December, but unlike last season it was well within the 1 S.D. bars (thin vertical black lines). 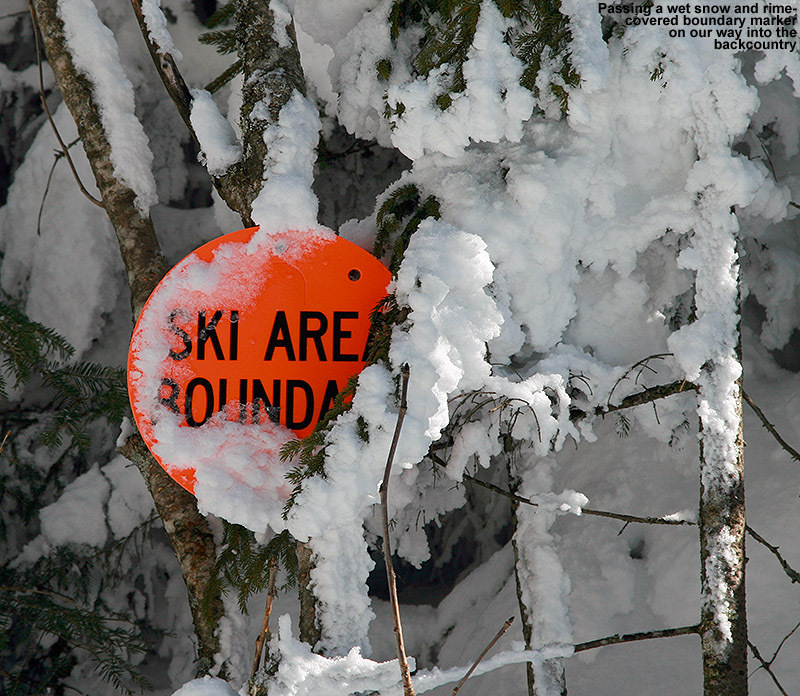 Note that the 24” mark is being used as an indicator of when the first forays into appropriate off piste/tree skiing terrain typically start in the Central and Northern Greens. 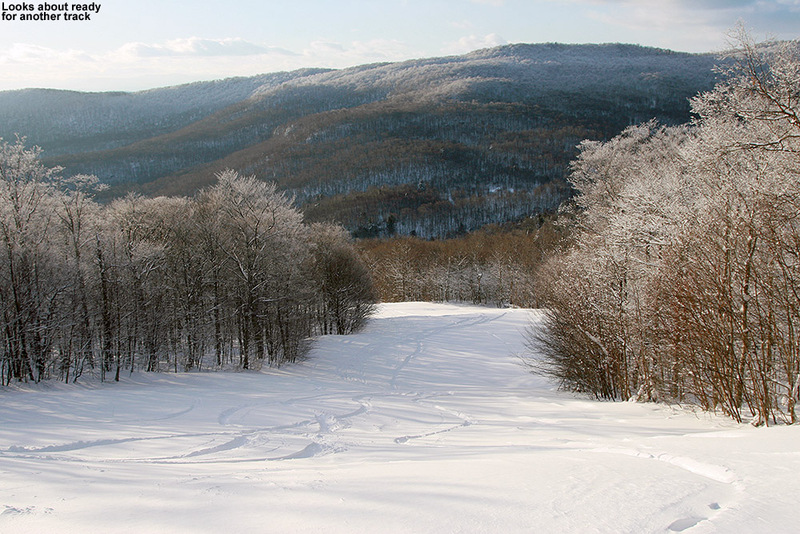 In terms of empirical tree skiing observations, personal experience again lends some support to the use of 24” mark this season, as we began venturing into the trees the very next day on December 23rd at Bolton Valley. It should be noted though, that while the 24” mark was attained on December 22nd this season, the 40” mark was attained the very next day on December 23rd. The 40-inch rule (i.e. reaching a depth of 40” at the stake), is used as an indicator of when most off piste/tree skiing around here is ready to go. Although I haven’t looked into the data, this season has got to represent one of the quickest ascents from 24” to 40” – it’s interesting to note however that after rising to 42” of depth on December 23rd and 24th, the snowpack settled back to 36” for a couple of days before rebounding to 45” on the 27th. October: It wasn’t an especially snowy October to kick off the season; we had five rounds of snow in the mountains, and the third one even dropped accumulations to the lowest mountain valleys, but none of the storms were huge dumps, and we had just a tenth of an inch of snowfall down at the house for the month. 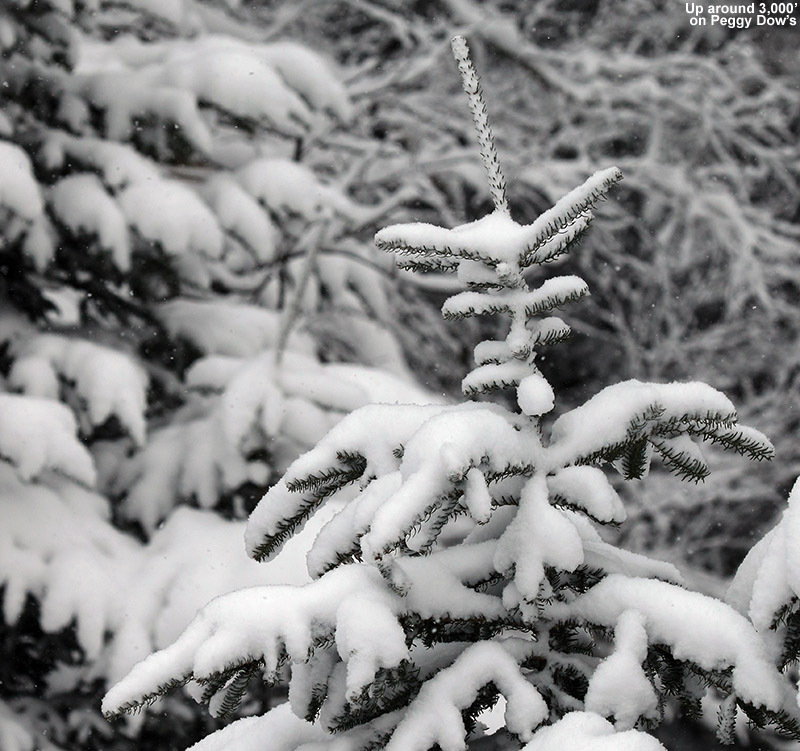 October’s first snowstorm started up on the 7th, with snowfall being reported at the top of the Mt. Mansfield Toll Road in the afternoon, and by the next morning Powderfreak sent along his picture of 4” of accumulation at the top of the Stowe Gondola. I also got a shot of Mt. Mansfield later in the day with its first accumulation of the season. It didn’t seem like quite enough snow to tempt me out to ski, but the FIS boys hit the snow and provided a thorough report of the turns. The second storm delivered some accumulation on the 11th, with a snow line up around the 3,000’ level and less than an inch of snow found up on Mt. Mansfield. The third storm was the one that finally touched the lower valleys with some minimal accumulations, but in terms of mountain accumulations, I don’t think it was anything more than junkboarding material. The 4th (on the 14th of the month) and 5th (on the 16th of the month) storms of October also appeared to be pretty minimal and generally flew under the radar in terms of discussion. So while it wasn’t a great October for natural snow skiing (with nothing like the back-to-back larger storms at the end of October during the previous season), some folks made some turns and there were several smaller rounds of snow to keep the peaks white. November: Snowfall for the month of November turned out to be a bit below average down at our location in the valley, but we did have five storms that delivered accumulations all the way to the valley floor. It was a decent month for snowfall in the mountains, with Stowe reporting 35” in November. That’s not outrageous by any means, but it was a noticeable increase from the previous November. 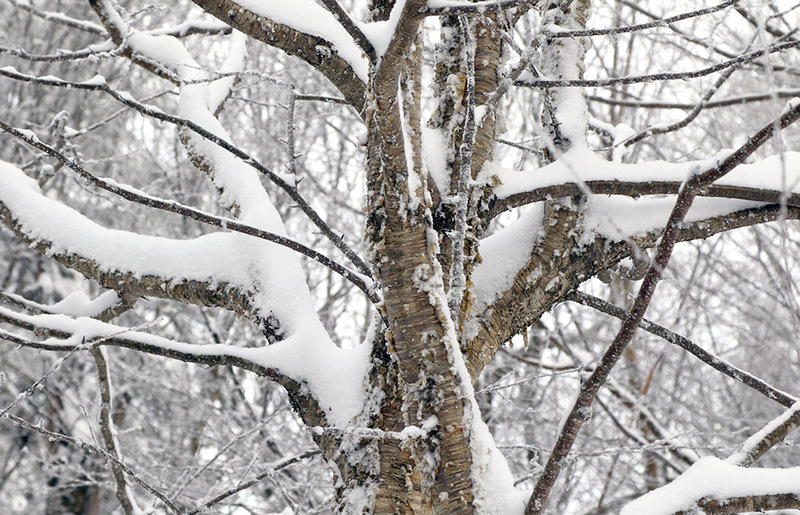 It was actually the first month with below average temperatures in Burlington in 20 months, and the corresponding mountain temperatures allowed Stowe to make a tremendous amount of snow. 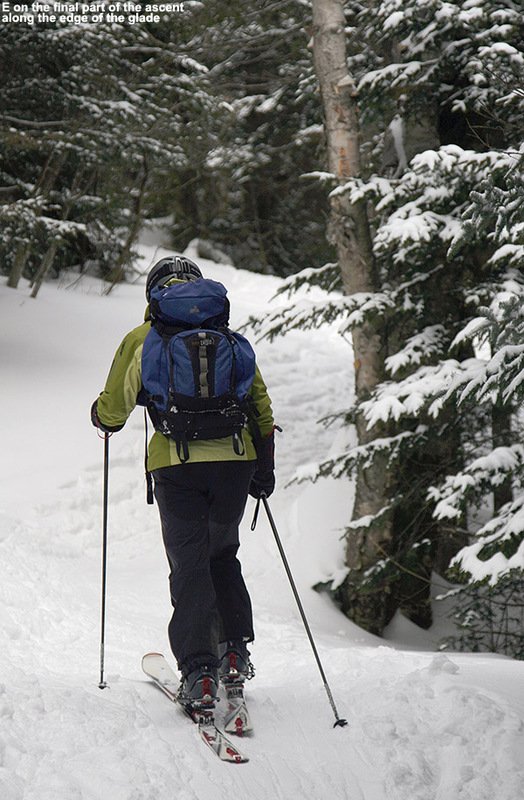 The rounds of November snows produced some modest powder that got me out early in the month on the 4th, and mid month on the 15th, but the best skiing was right at the month’s end. A storm overnight on the 29th dropped a foot of fresh fluff on the Northern Greens and then cleared out for some great turns by dawn patrol time. 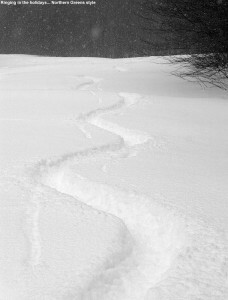 That new snow on top of previous rounds of accumulation delivered some fantastic bottomless powder skiing that held up even on steep terrain like Stowe’s National trail. December: The great powder conditions from the end of November storm carried right over into the beginning of December, with some excellent skiing on the 1st of the month. That was really the highlight of the first half of December however, as snow was hard to come by through the 16th; we had just 2.2” of snow at the house during that period. It was as if a switch was flipped for the second half of the month though, with winter roaring back in to deliver almost 50” of snow for us in the valley. Some of the more significant storms during that stretch were on the 21st, with up to 20” of accumulation, the 26th, with over two feet, and the 29th, with another foot plus thrown in for good measure, so naturally the skiing during the holiday period was blissfully powdery. 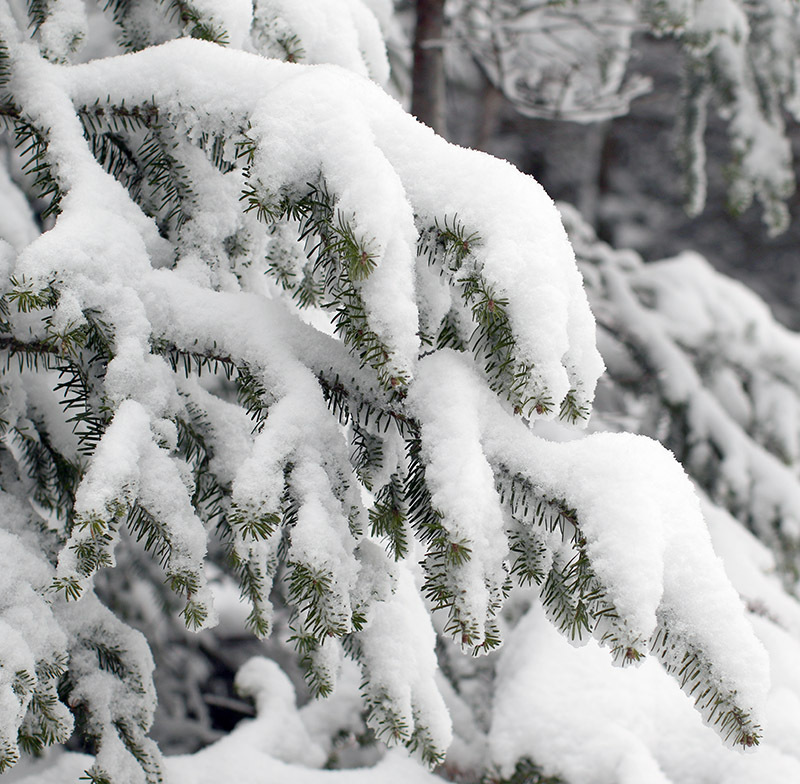 Even on days between the more substantial storms, a new half foot of snow could pop up. It was just day after day after day of powder, with even a little night added to the mix. The only detractor from that stretch was that the snowpack wasn’t initially up to the depths to allow people to enjoy that powder on all terrain. The natural base depths did make some quick and significant gains during the period though, with the 24” threshold depth at the Mt. Mansfield Stake being attained on the 22nd, and the 40” mark reached on the following day as described above in the section on tree skiing. 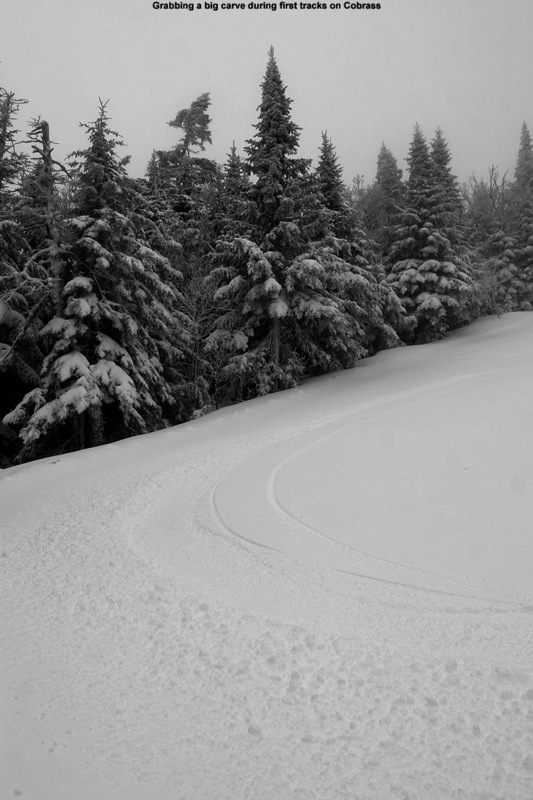 Our first notable forays into the off piste were on the 23rd at Bolton Valley, which wasn’t surprising with almost all of Stowe’s terrain getting opened by that point. 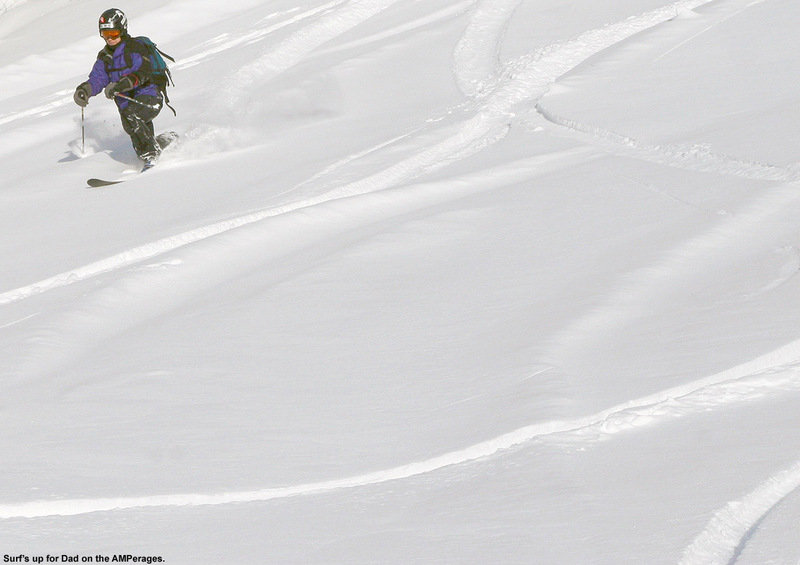 The off piste was quickly going… off, and things just went up from there. That storm on the 26th had a somewhat uncommon east wind, which filled in the Bolton Valley headwall areas for some fantastic coverage. 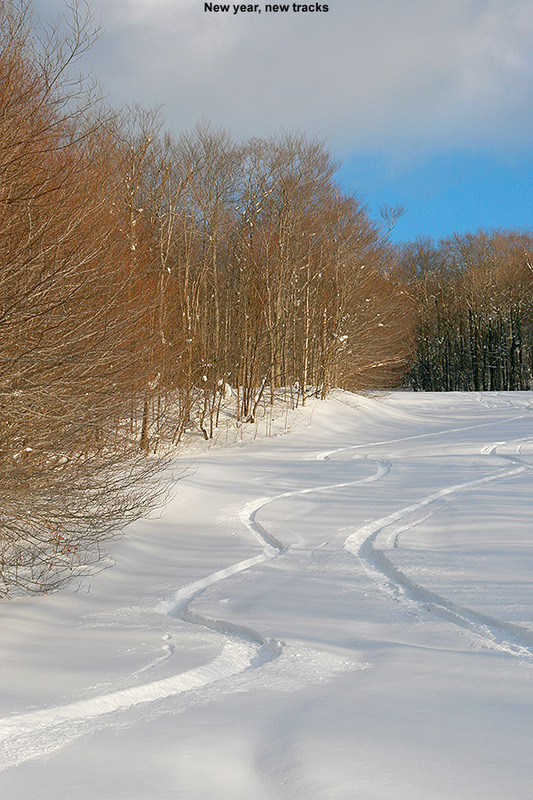 Despite the relative scarcity of snowfall in the first half of the month, by the end of December, Stowe was at a respectable 102” of snow on the season. January: December’s snows and excellent ski conditions continued into the beginning of January, with four modest storms hitting the Northern Greens during the first week. In the higher elevations, the largest of those storms came in on January 4th and affected the northernmost resorts hardest, with a foot at Jay Peak. 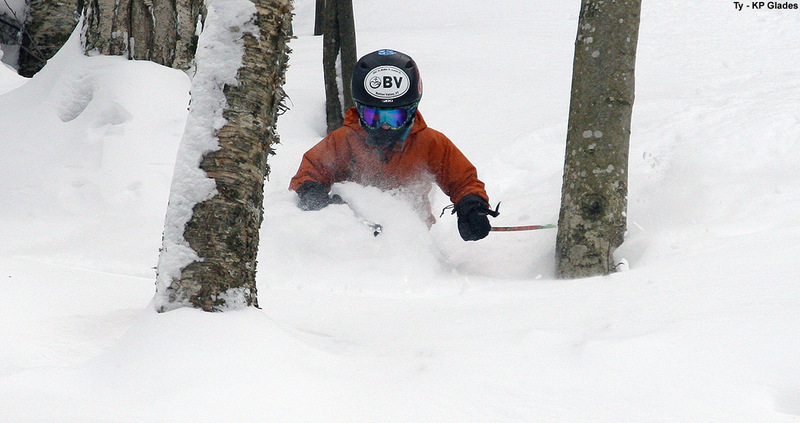 Even with somewhat lower totals at resorts to the south, the skiing remained quite good because of all the powder that had been building up over the previous three weeks – we found over a foot of powder lurking in the trees at Bolton Valley on the 5th. More snow came in that night to produce a nice day at Stowe on the 6th, and after the final snowfall event in the series, the snowpack at the Mt. Mansfield Stake stood at 51 inches on the 7th. 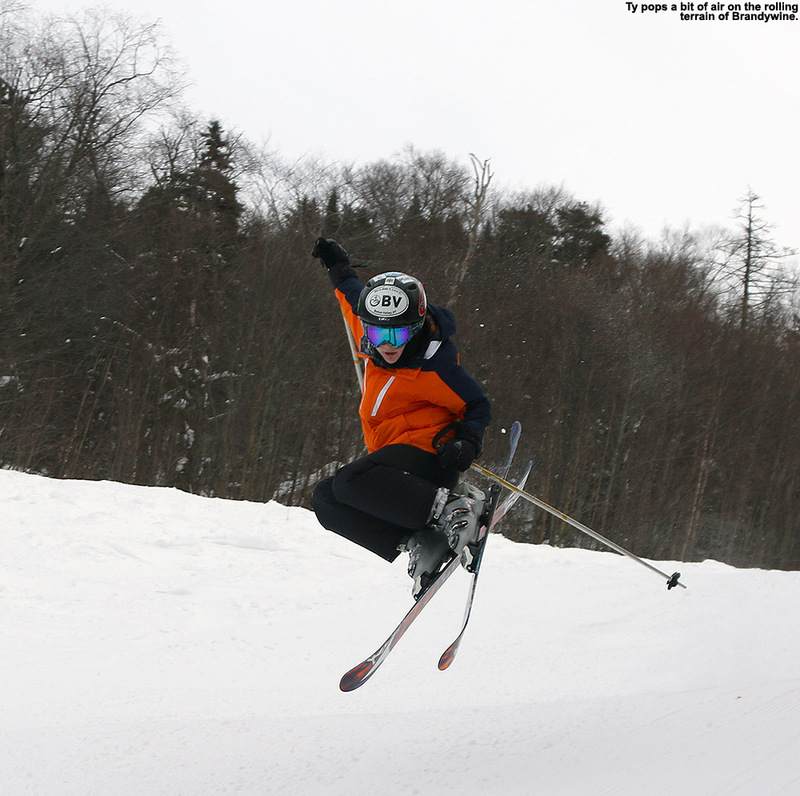 The stormy stretch ended after that, and warm temperatures brought spring-like ski conditions until mid month. Fortunately, the base depths that had built up over the previous three weeks meant that there was a lot of good, soft skiing. 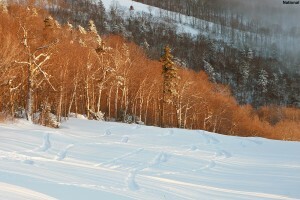 Winter was back by mid month, with small systems that brought a return to some powder conditions. 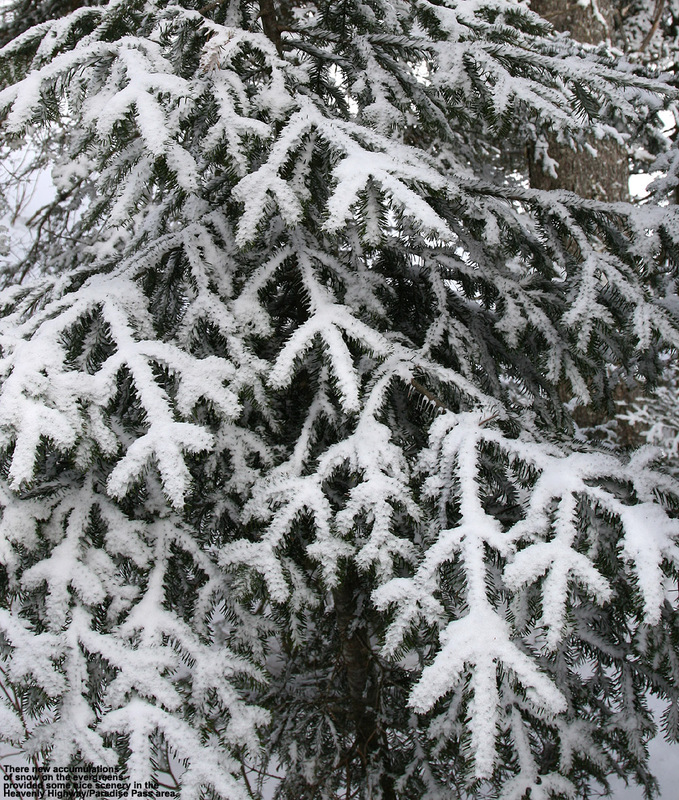 The fourth week of January featured arctic cold, which unfortunately meant little snowfall, but at least the temperatures preserved the powder. Finally at the end of the month we got a modest half foot storm to bring back some fresh powder, but January as a whole was quite low on snowfall – down at the house it was by far the least snowy January in my weather records. February: The month of February rolled in with a tempered return to the type of dry, arctic pattern that we’d encountered in that fourth week of January, but fortunately there was at least a bit more moisture and temperatures weren’t quite as cold. 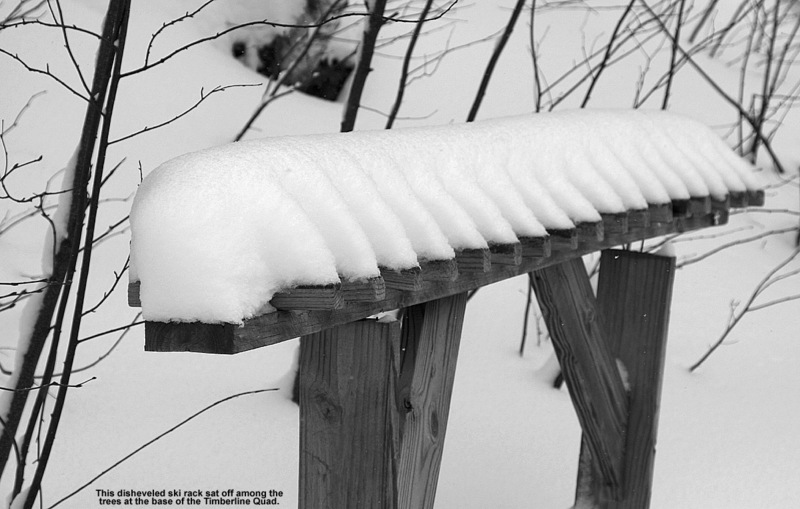 There wasn’t much new snow for the first weekend of the month, but at least the skiing was decent. 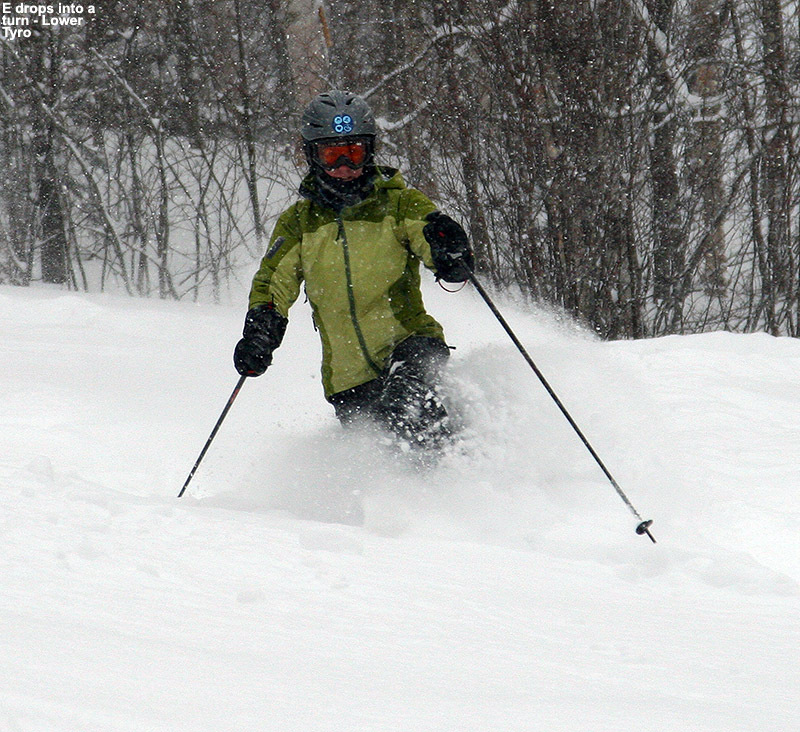 Of the three storms that came in that following midweek, the second one brought from a half foot to nearly a foot of powder at some of the Northern Vermont resorts, so the skiing improved. Just in time for the next weekend, the “Nemo” storm hit the Northeast, and while it was largely a miss for Northern Vermont relative to areas to the south that got up to 40” of snow, the mountains still picked up more than a foot of powder to provide some excellent turns. 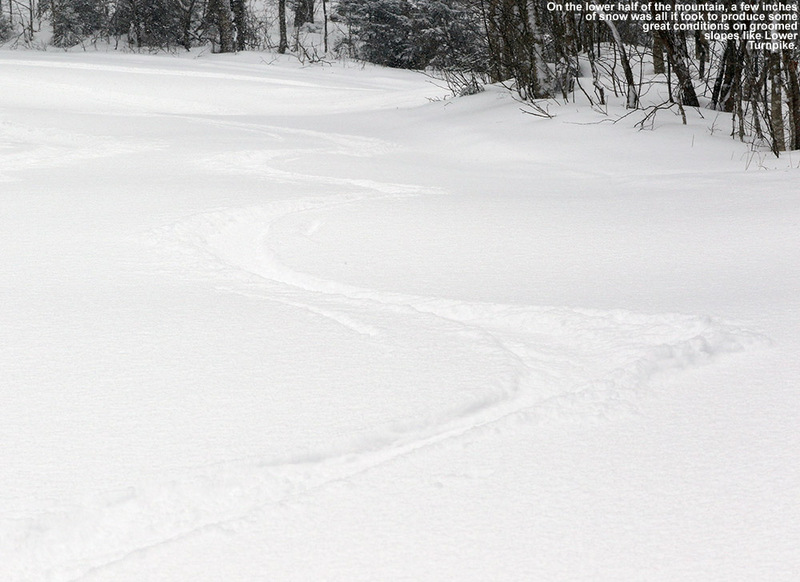 Nemo was followed by a storm named “Orko”, which came in at the beginning of the following week with 1 to 1.5 feet for some of the local resorts. 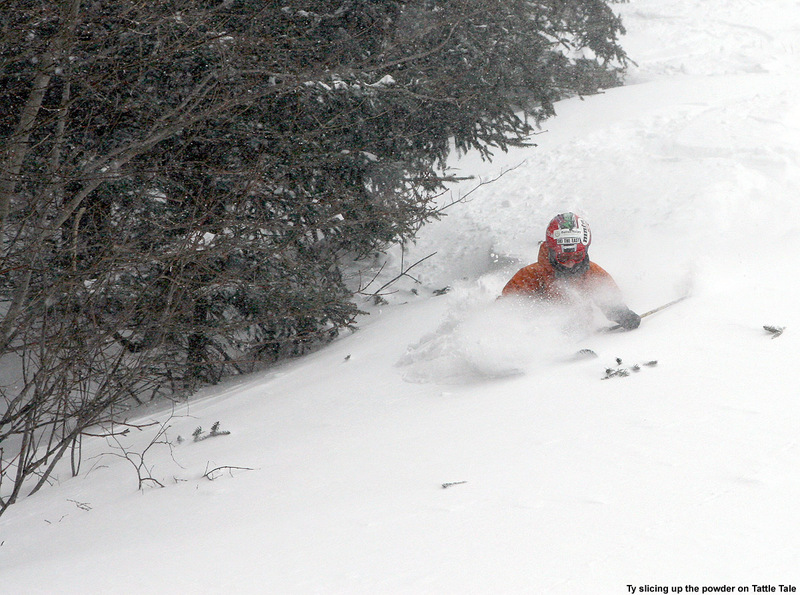 Beyond that storm, mid February was fairly dry, but powder conditions persisted, and on the 19th a more sizeable storm hit the area with snow totals of 1 to 2 feet plus for the Northern Vermont resorts. The month finished off with a few more storms, with a half foot storm and a 1 to 1.5-foot storm being the more notable ones. Although the month as a whole was actually rather lean on snowfall (only an inch from being the least snowy February in my records at the house), as it typical, the consistent availability of powder rolled right on into March as seen in the categorized list of ski outings above. March: The first half of March wasn’t especially snowy, with just one notable storm in the ½ to 1-foot range for the mountains; the big storm that affected southern parts of New England with up to 30 inches of snow in the March 5th-8th period was literally a non-event in Northern New England. Of course even with some warmer temperatures in the second week, decent powder remained in the higher elevations, and soft snow made for fun turns on piste. Around mid month though, the skiing started to get even better as the snowfall picked back up with back to back modest storms and 72-hour snow totals topping out around 16 inches on the 16th. Thanks to the ability of the Central and Northern Greens to reel in snow, conditions moved well beyond the dust on crust that many areas to the south were likely encountering. That was the start of an excellent stretch of winter that was second only to the snowy December period, with our largest valley storm of the season arriving on March 19th and delivering 7-day snow totals of 2 to 4 feet in the mountains. At Stowe they were calling it “Powder Week” and the deep turns just kept on coming. The increase in mountain snowpack during the period was notable in that it finally moved solidly above average and stayed there Simply put, even lift-served powder skiing was endemic on piste during that second half of March until a brief warm-up during the last couple of days of the month. April: Despite the somewhat slow increases in the snowpack during the heart of the winter, the gains made during the latter half of March meant that the snowpack was at least modestly above average heading into April, and it quickly reached a peak of 87 inches at the Mt. Mansfield Stake when the first storm of the month dropped a foot of snow at Stowe on April 2nd. 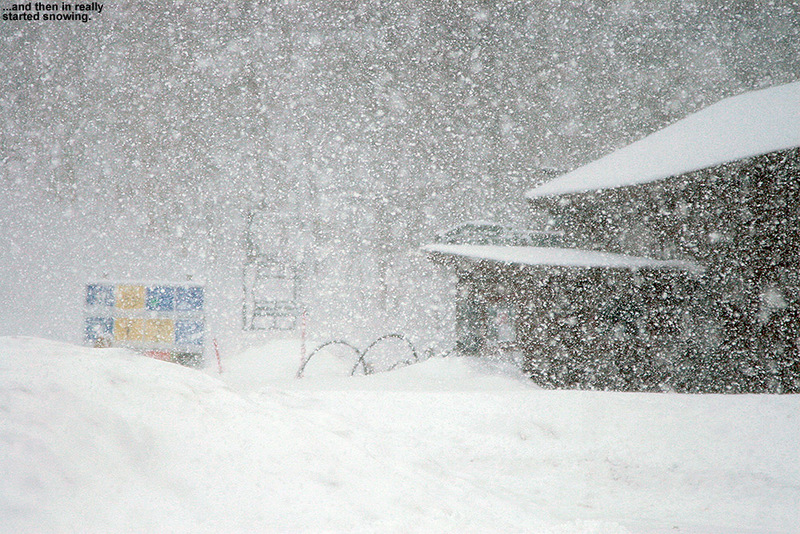 I was up at Bolton Valley that day for a ski tour, and I got to witness some impressive snowfall rates as the storm crashed into the higher elevations. The alpine terrain above tree line on Mt. Mansfield was in good shape, consistently providing excellent outings during that first part of the month. 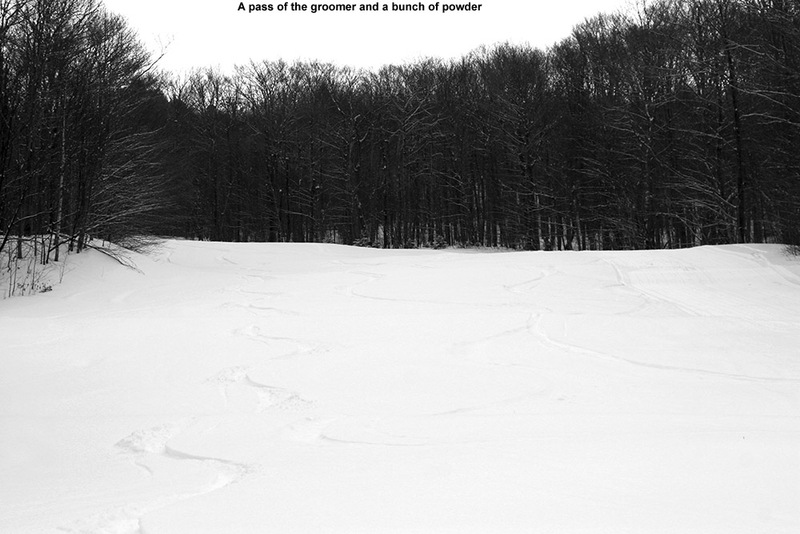 Cool temperatures with additional snow meant that the snowpack stayed at an above average level right through the month, and another storm on the 12th saw Ty and I enjoying close to a foot of dense powder out in the Bypass Chutes at Stowe on the 13th. The skiing gradually transitioned to full on spring conditions after that weekend as the active pattern waned, and an impressively long stretch of clear weather moved in and stuck around well into May. May: For most of May, there wasn’t much to talk about in terms of new powder, especially with the extended period of incredibly clear weather that carried over from the end of April and lasted a fortnight, finally ending on the 10th of the month. There was some mighty fine spring skiing right through that period with all the sun and warm weather, even if it did cause the snowpack to decrease a bit faster than it otherwise might have. 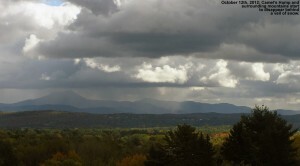 The tranquil period of warm weather allowed the Mt. Washington Auto Road to open on the 10th of the month as well (definitely on the early side), but since unsettled weather had just returned at that point, we didn’t get to make our spring pilgrimage to the snowfields until the 18th. 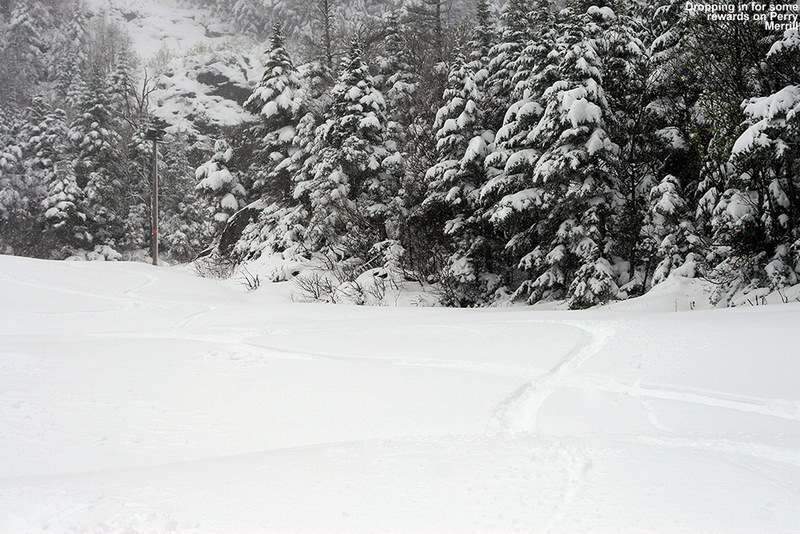 To really cap the month off well, Northern New England and the Adirondacks were rewarded with a Nor’easter over Memorial Day Weekend, which delivered roughly 3 feet of powder to Whiteface and nearly 2 feet to Mt. Mansfield. Excellent powder turns were made while the valleys were almost fully leafed out for the spring. 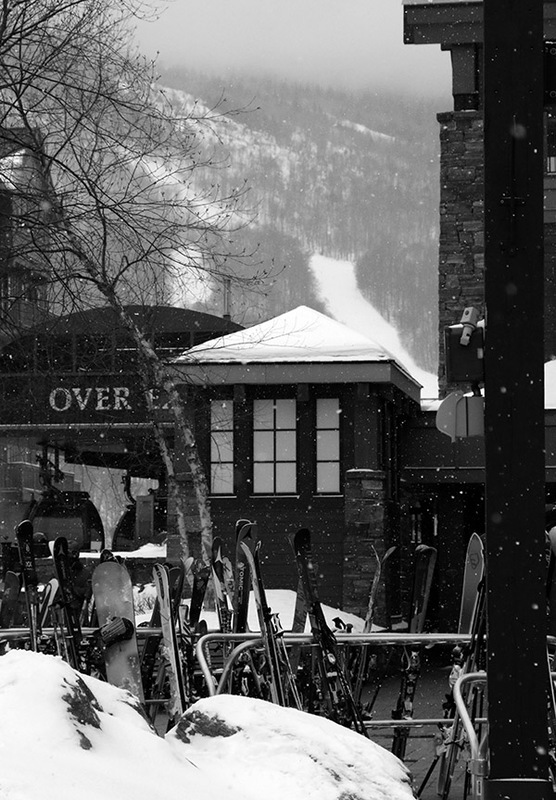 We didn’t actually head out for any June turns beyond that, but the skiing over Memorial Day Weekend had been so good that it hardly mattered – it was just a few short months until the snows of fall would be returning. 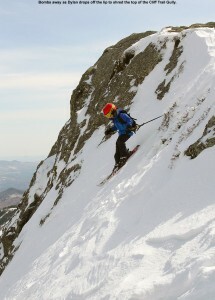 So what about the overall feel for the quality of the ski season in Northern Vermont? Well, much like the snowfall numbers suggest, it feels like it came in a bit below average, even if not horribly so. 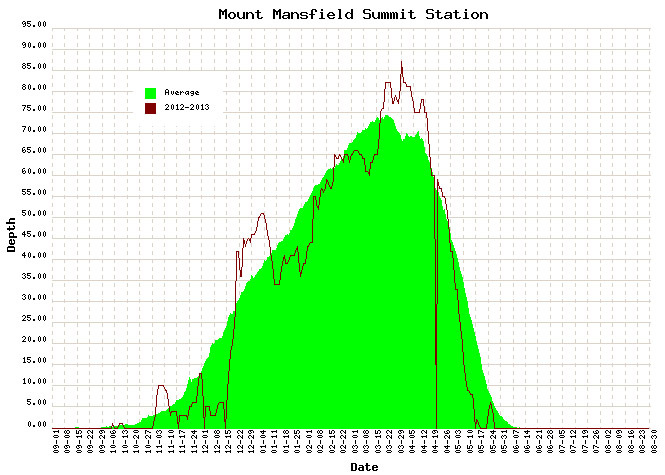 The mountain snowpack (as gauged by what was seen at the stake on Mt. Mansfield) had its ups and downs, and on balance it probably gets rated in a similar manner to what the slightly subpar snowfall would suggest. 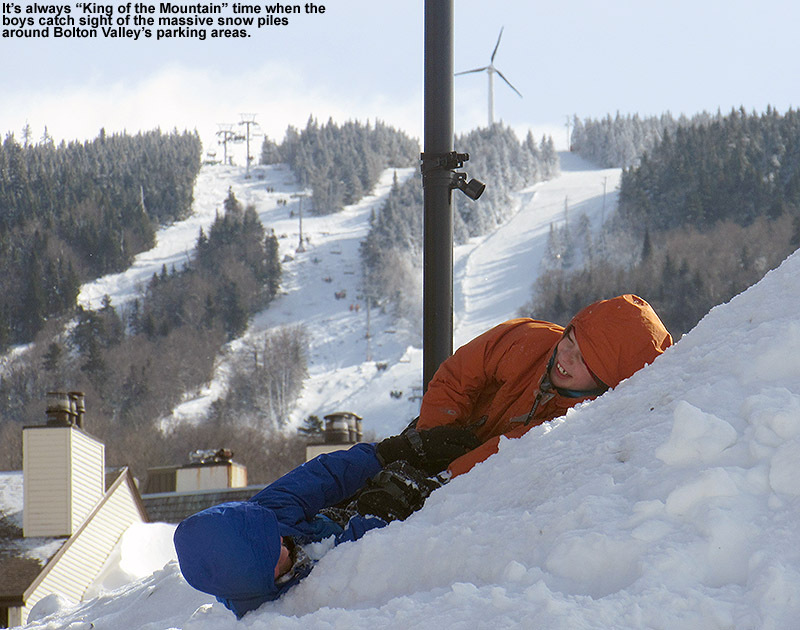 Being frequent Bolton Valley skiers and living down below the mountain in the Winooski Valley, our perspective might be skewed a bit downward with the resort receiving just 78.5% of their average snowfall. Having the north miss out somewhat on a couple of big regional storms, while watching a horrid valley snowpack (see the 2012-2013 Winter Weather Summary for details) that kept ski routes to the lower valley bottoms essentially off the table, certainly didn’t win the season any extra points. It seems that 2012-2013 ultimately sits in the lower half of ski seasons and won’t be remembered as anything epic, but it also appeared to hold onto a decent level of powder availability (77%) based on our experiences, and that means there was still a pretty decent amount of good skiing. The fact that even the poor 2011-2012 Ski Season was able to hold onto a powder percentage in that range is also reassuring in that regard, suggesting that there is indeed a certainly level of reliability that can be expected in these seasons where snowfall/snowpack is below average.